In the season of post-New Year’s health marketing, it can be easy to get taken in by labels that sound Paleo but aren’t. The most obvious solution is to just not buy food in packages at all – but just coming in a package doesn’t mean something is unhealthy. Coconut oil comes in a package; so do spices, sauces, and all kinds of totally healthy and Paleo food. Avoiding packages completely cuts you off from all kinds of delicious and tasty ingredients. Unfortunately, in the realm of packaging you will have to decode the labels that don’t mean what you think they do – here’s a guide to five that sound Paleo, but aren’t quite that simple. Paleo food is gluten-free, but not all food labeled gluten-free is Paleo. Water, tapioca starch, brown rice flour, resistant corn starch, egg whites, canola oil, cane syrup, tapioca maltodextrin, citrus fiber, dried cane syrup, yeast, flax seed, potato flour, sugarcane fiber, amaranth flour, salt, sorghum flour, gum (xanthan gum, sodium alginate, guar gum), dry molasses, teff flour, cultured corn syrup solids and citric acid (mold inhibitor), xanthan gum, enzymes. It might not have any gluten, but it’s full of other grains, “cane syrup” (read: sugar), preservatives, and inflammatory junk oils. It’s missing one unhealthy protein, but that doesn’t make it a good choice. “Natural” or “all-natural” on package labels means nothing. There are no regulations governing how the term can be used. It’s literally nothing but marketing. It does not mean “organic,” “healthy,” “Paleo,” or anything else. Ignore it and go straight to the ingredients list. Paleo is not a calorie-counting diet. Yes, the First Law of Thermodynamics is true as far as it goes, but counting calories is an ineffective weight-loss strategy because it doesn’t account for what your body does with those calories (among other reasons). How many calories a food contains is completely irrelevant when you’re deciding whether it is or is not Paleo. Diet soft drinks are not Paleo because they have no calories. Neither are calorie-free syrups, jams, or other diet food. Low-fat dairy is not better than full-fat because it has fewer calories – in fact, if you’re going to do dairy (it’s a gray area), full-fat is the way to go. 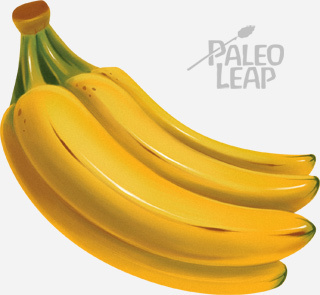 Bananas: not low-carb, but they are Paleo. Canola oil, peanut oil, soy oil, “vegetable oil,” etc. If you wanted to eat low-carb Paleo, you would choose Paleo foods from the list of low-carb foods (or alternately, chose low-carb foods from the list of Paleo foods). The two concepts are completely compatible and it’s easy to do both at once, but they’re not the same thing and one is not a substitute for the other. 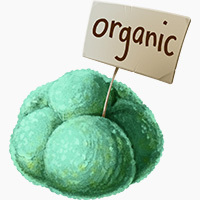 Some organic foods are totally Paleo, but they aren’t Paleo just because they’re organic. If a food isn’t Paleo in the first place, growing it organically doesn’t change that. You could raise the most extremely organic pesticide-free, herbicide-free, biodynamic wheat in the world and it still wouldn’t be Paleo. The same goes for organic soy, organic sugar, or anything else. Being organic doesn’t make them Paleo. The ingredients list is the ultimate guide to whether or not a food is Paleo. It’s not bad to buy food in packages, but never buy anything in a package without checking the ingredients first. Don’t get taken in by front-of-package labeling like “all-natural” or “gluten-free;” those terms don’t necessarily mean something is Paleo. If you’re looking at a jar or box right now and realizing it’s not as Paleo as you thought it was, don’t feel bad. You’re not alone; lots of people get taken in by these labels (that’s one reason why they’re so common). Just remember to read the ingredients next time, so you don’t get taken in again.